We at DTW are fascinated at the what-ifs of the motor industry. Two of them celebrate their 70th birthdays this year. Next year one of these will commemorate 70 years since its demise, the other’s will be in 2019. So they are both short-lived failures and, you might say, justifiably so. But, if you add in another, longer-lived model and imagine a different financial and/or political climate, the large car of today could have been very different. I’ve been a long-term admirer of Tatras, an interest that goes back long before they became as fashionable as a Flat White Jägermeister, to when I first saw a picture of a T603 in my 1963 Observer’s Book of Automobiles, then encountered them in the metal purring mysteriously around in the middle of Winter in the, then Communist, then Czechoslovakia. They were, and remain, a glorious aberration, there really was nothing else like them. Which, of course, isn’t strictly true. Admirable though they were, Preston Tucker’s creations don’t catch my imagination quite as much, possibly because Tatra is commemorated in one of the finest and most daring moving pictures of all time, whereas the Tucker 48 has only the work of a jobbing director called Coppola to remember it by. But it takes three before any movement starts gathering critical mass. Whether the 1947 Isotta Fraschini Tipo 8C Monterosa has any significant celluloid memorial I doubt but, with the 1947 Tucker and the large Tatras it does complete a trio of rear-engined behemoths produced in the postwar period. In terms of getting there first and staying there longest there is no competition. Tatra takes the accolade since, when both the Isotta and the Tucker were conceived, the pre-war Tatra T87 was still nominally in production and its forthcoming successor, the 1952 T603, remained in production until 1975. The heavily invested Tucker fizzled out in 1948 after 51 cars, whether a victim of hubris, an elaborate scam or underhand machinations from the established manufacturers, you can decide. 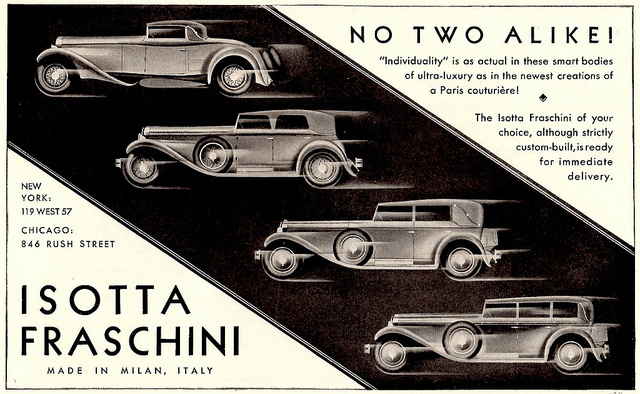 Dating back to the very start of the 20th Century, and a manufacturer of marine and aeronautical engines as well as trucks, Isotta Fraschini’s automotive high point was in the 1920s and 30s, selling louche and luxurious straight-eight cars, notably to the United States. After the Second World War its attempt at rebirth was always going to be tortuous, as Italy’s society and economy rebuilt itself. Whereas Alfa Romeo saw that the financial and political climate for its large luxury cars had, more or less, disappeared and just filled-in with its coachbuilt six cylinder chassis until Orazio Satta Puliga delivered his more democratic four cylinder 1900 saloon, Isotta Fraschini still hoped to cash in on its golden times with a luxury vehicle, aimed at the American market. 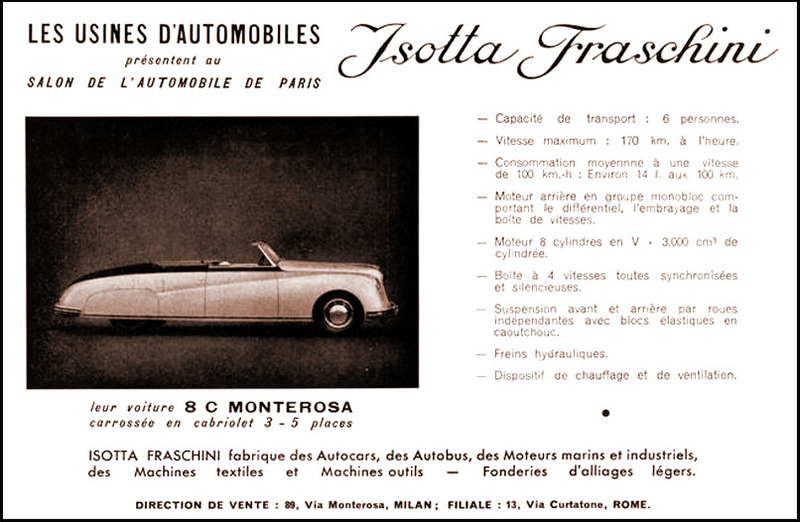 But, unlike some of the half-hearted attempts to keep the old prestigious names going in France, Isotta’s idea was far more ambitious. In charge of development was Fabio Luigi Rapi. 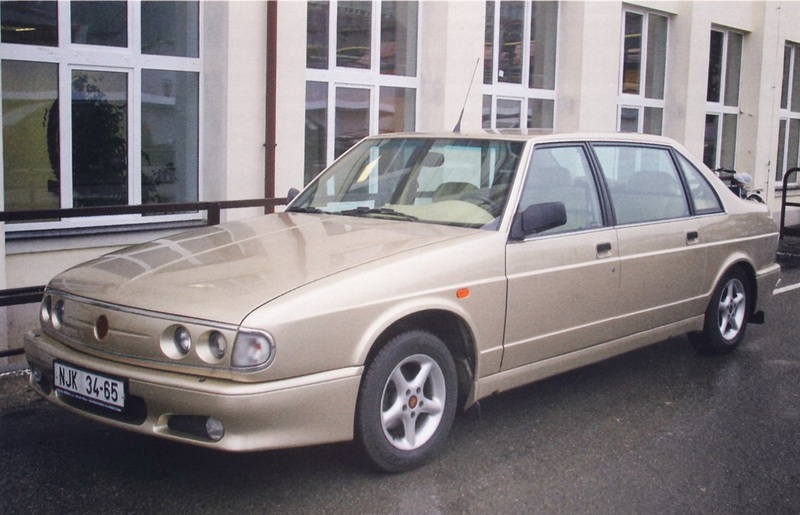 He had visited the Tatra factory and, as is most obvious in the first, 6 seater, Zagato-bodied, Monterosa prototype, the T87 inspired his own concept. A wide range of body styles was to be offered, all powered by a 3.4 litre, rear mounted, water-cooled, light alloy V8 which Aurelio Lampredi developed and it was independently sprung. 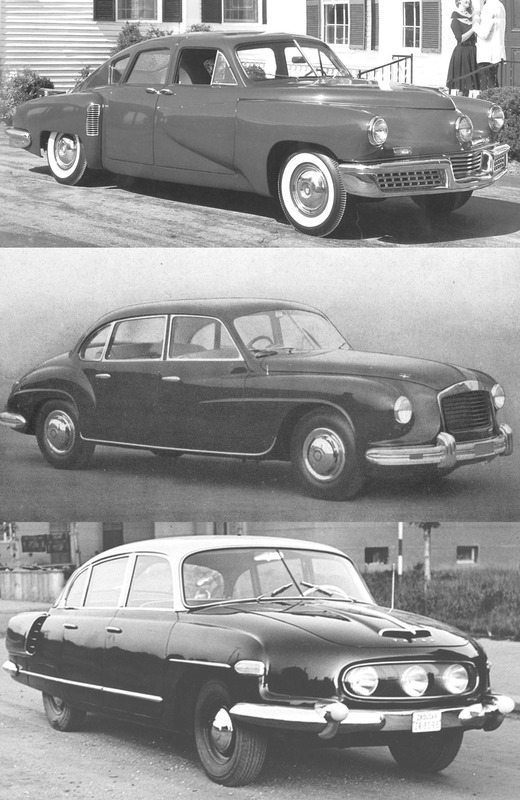 Subsequent designs were less Tatra-like, more conventionally elegant, yet still modern. The designs and prototypes were presented and well received, but investment wasn’t forthcoming and the project was cancelled. The company carried on in other fields, but its car making days were over. 8C Monterosa Touring bodied 2 door. The larger a rear-engined car gets, the more volatile its weight distribution is likely to become. There was never room for three overweight passengers in the back of a rear-engined Porsche, nor did the front boot have room for a couple of suitcases full of bullion, yet it still took Porsche many years to engineer out the 911’s less agreeable foibles. So the likelihood of completely taming any chance of such a large car swapping ends in extremis is low and it might be concluded that, unless your company is based in Zuffenhausen and remarkably stubborn, the rear-engined format is a dead-end, best avoided. But the behaviour of many conventional, front-engined, rear-driven, cart sprung chassis of the time was hardly perfect and, anyway, just because something is flawed, that doesn’t always stop the motor industry from embracing it wholeheartedly. So it is not inconceivable to suggest that, had Preston Tucker not been so cavalier (or, if you prefer, conspired against by the establishment), had Italy not been so devastated and socially divided after the War and had Czechoslovakia had freer access to trade with the West, these three cars could have succeeded. And, had they succeeded, others might have followed. Some did follow, of course. In 1954, Ferry Porsche delivered four Type 542 prototypes that Studebaker had commissioned his company to develop. Fitted with 3.5 litre, rear-mounted V6 engines (rather speculative since Studebaker had originally specified front engines), they were eventually evaluated by a Studebaker engineer named John DeLorean, who was left generally unimpressed. There might have been some partisanship in DeLorean’s findings and, with development, it’s very likely that the problems he identified would have been sorted, but money was always tight at Studebaker. The 1960 Chevrolet Corvair was a better car than history gives it credit for, but it was destroyed by a series of bad and cynical management decisions. After the Studebaker disappointment, Porsche themselves seem to have (over)steered away from the idea of a rear-engined 4 door, but that didn’t stop Ghia coming up with a proposal, and we might allow a small mention of the late 60s Troutman and Barnes conversion of a 911S for a private customer. But, in the end, it was left to Tatra, free in its hermetic economic environment to ignore the whims of Western manufacturing. In 1975, the T603 was replaced by the T613 which, in subsequent forms, flew the flag for the big, four door, rear-engined saloon, unrivalled until its demise in 1999, 66 years after the first T77, and still mourned by some. 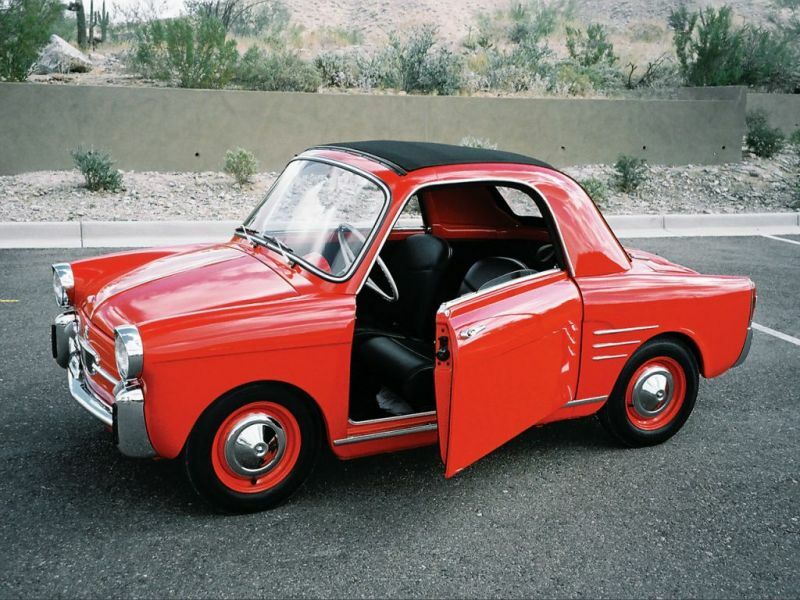 And, lest you think that he learned nothing from his foray into large, luxury cars, 10 years later Luigi Rapi produced the far more down to earth, but still stylish, rear-engined Autobianchi Bianchina. A really interesting set of connections there Sean. The Monterosa is one of those fascinating might have beens; a little like the Issigonis Alvis project. Of course their stillborn nature allows us to project all manner of eventualities upon them, rather than the failure and ignominy that is more likely to have been their fate. 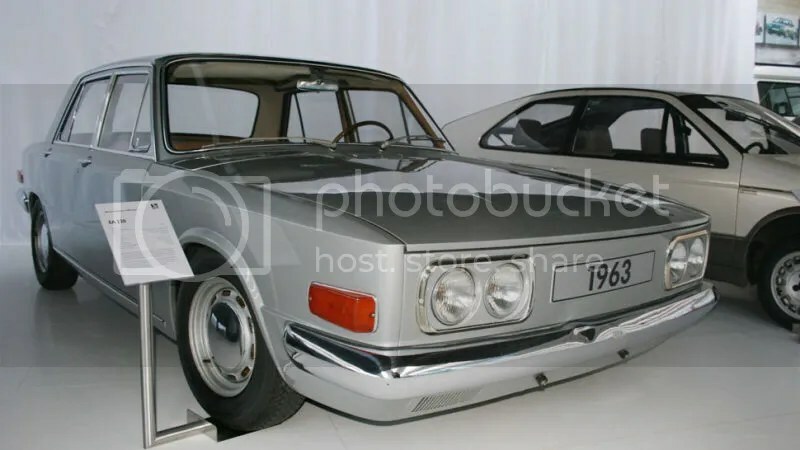 The Tatra connection was a new one on me, I must say, as was the initial concept, which I must say I’m rather taken by. Lampredi had a rather varied career didn’t he. That Ghia Porsche could almost have been the VW 411’s larger, somewhat more urbane brother. A fine and thought-provoking article. The Monterosa deserves to be more widely known. I was unaware of the Studebaker-Porsche Type 542, but it wasn’t the end of Porsche experimentation with a big rear engined saloon. The EA128 prototype from c.1963. German Corvair or Phaeton before its time? It’s suggested the idea was promoted by Porsche to dilute the cost of their all new flat-six engine. There was a wagon too, indicating that the EA128 was aimed at the US mass market. I’d missed out on the VW EA128. I note the Jalopnik article states that the Porsche 989 was rear-engined, understandable since its proportions do suggest that, but incorrect, but there is talk of an in-house prototype 4 door 911 somewhere. The VW has a rather Lancia-like appeal. There’s also the idea that VW Group did persist, if you think of an Audi 100 as a rear engined car with 4 or 5 reverse gears. Tucker had a lot going against him, mostly himself. He was trying to hawk a car that made a host of unconventional choices in the name of safety and innovation in an era when the market simply didn’t give a hoot about it. People were on waiting lists to buy warmed over prewar cars and he was messing around trying to reinvent the wheel. Get production moving and then introduce your innovations. He was a better engineer than he was a business manager. He was also a huckster that has as many schemes for getting money from people without delivering a product as he did interesting engineering ideas. Ultimately the debate over what GM did or didn’t do in pushing the SEC investigation is moot as it was Tucker’s actions that opened the door. I like that Porsche: it’s brutal looking, like a Tatra concept. A nice summary article of the rear engine hope, for I believe it was always hope rather than a rational evaluation of what a car is supposed to do for its owner and passengers. Or different just to be different. The Mini blew the dreamers out of the water really and grounded them. Sure Porsche slaved away for decades getting the 911 right but didn’t bother saddling the Boxster with an outdated layout. Funnily enough, since before WW2, passenger coaches and buses in the US gravitated towards rear engine layouts where it actually made sense, and the double rear wheels gave added traction. Perhaps it’s just me, but only one car in these photos seems to have been professionally styled, and that is the Corvair. But look where I may, nobody seems to be listed as lead stylist – it was during the Earl/Mitchell handover at GM. The other cars shown are merely awkward at best. The bonnet line on that 1963 whatever-it-is above is just brutally dreadful – they didn’t rip off the rest of the Corvair enough. Many companies copied Corvair features one way or the other. The Corvair windscreen line is clever at the A-pillar, and the car almost had the first recognizable floating roof, let alone the beltline ring around the body. The 1965 model was really very pretty, with an even better resolved A-pillar like the 1962 Chevy II. And yes, I’ve driven all three back in my youth, which is why I bought a Volvo for my first (secondhand) car. The usual GM dilemma – styling that oversold the guts underneath, like 6.5 turns lock-to-lock steering for that fingertip touch and instant catchability on ice. Not a clue. Karl Ludvigsen wrote an interesting article on the Corvair’s genesis last year. It’s a pity – within the realms of an imperfect concept, the engineers seemed to know what they were doing but it was pretty much cocked up by management’s contempt for their customers. I think he was rather dismissive of the second generation Corvair’s styling but, as you say, it was very good looking. Ludvigsen seems fascinated by rear-engined impracticalities. He owned a Tatra T87 and I came across a 1977 article by him on the Porschebaker. On the subject of styling, before the 613, Tatra lived outside the realm of car styling criticism – they really only bear comparison with Flash Gordon rocketships. There’s a short video of Tatra history from the lower-profile years of Top Gear, as well as a drive in one of the 613s that they started importing into the UK back then. Watch out near the end for just a hint of tail-out scariness. Another high-end rear-engined project that never made production was the 70 hp 1946cc 90-degree V8-powered Lancia A10 prototype (whose light alloy engine weighed around 150kg and featured wet liners as well as hemispherical combustion chambers) with a body by Ghia, which was developed during and after WW2 with Lancia eventually deciding to develop a cheaper less revolutionary direct replacement for the Lancia Aprilia that become the Lancia Aurelia.